for $1,275,000 with 3 bedrooms and 3 full baths, 1 half bath. This 2,346 square foot home was built in 2004. 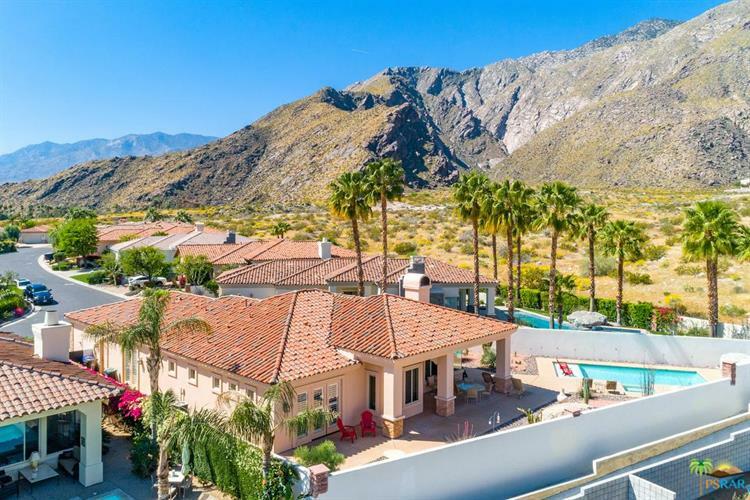 Aptly perched and on Big Canyon this South Palm Springs property has exhilarating views of the canyons and surrounding mountains located in the gated community of Canyons at Belardo. The property is situated in the Northwest corner of the development and features 2346 square feet of living space with ideally placed south and west facing pool and spa to envelop you in the surrounding views. 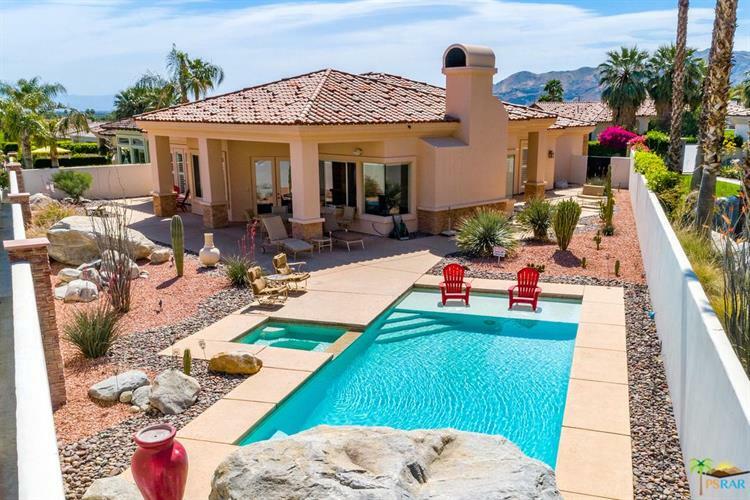 Open living concept with doors that lead to the exterior covered patio area and low maintenance desert landscaping with large boulders that dot the back yard. Master suite with direct exterior access and patio features a large bathroom and walk in closet. Two other bedrooms with private baths for your family and/or guests and separate room currently being functioning as a den could be used for more formal dining if desired. 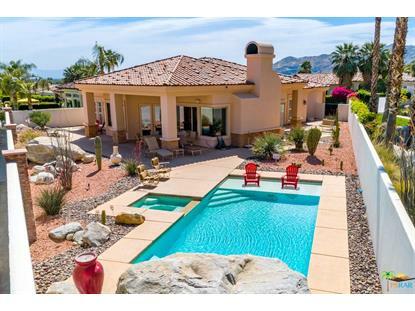 Three car garage with direct access and gated front entry into the property in a premier community located in South Palm Springs with all the Desert has to offer just steps away.